June seem to breezed by so fast and now we're halfway through July and the kids' school will start in a week! Hindi pa ako ready, guys! ! I feel like I am still recovering from our trip from Cebu which is almost month ago na pala! Oh my. No blog posts pa because my SD card crashed, hay buhay nga naman. 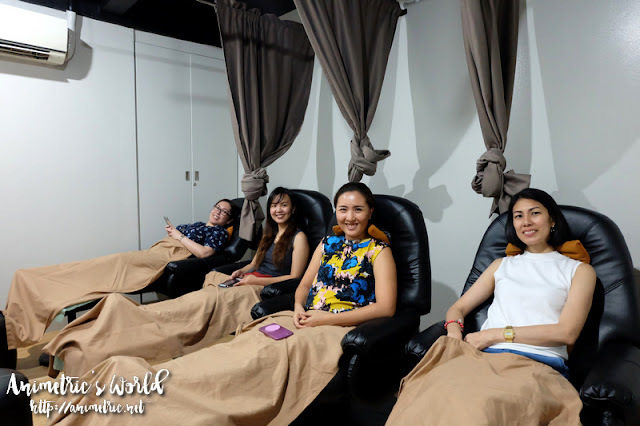 I've been wanting to go back to Thai Temple for some me-time but I don't think it's happening soon but I'm glad I was able to squeeze in some girl time and try out Thai Temple's services first week of June with Michelle, Chessy and Ro. I love getting a massage especially on the feet. When I was still single, our family day was usually going to the mall or spending it in a massage place. We watch ASAP while getting our foot massages. Haha! Nowadays, getting a massage is rare for me. BOS would always tell me to go out and get massage, I would usually don't want to go because I always feel guilty. I'm at the spa while he's getting stressed out by the kids lol. But I'm always thankful he's always insisting me to go because I feel recharged after. The first time I've tried Thai Temple was during one of Onelife Studio's Fitspoparty! 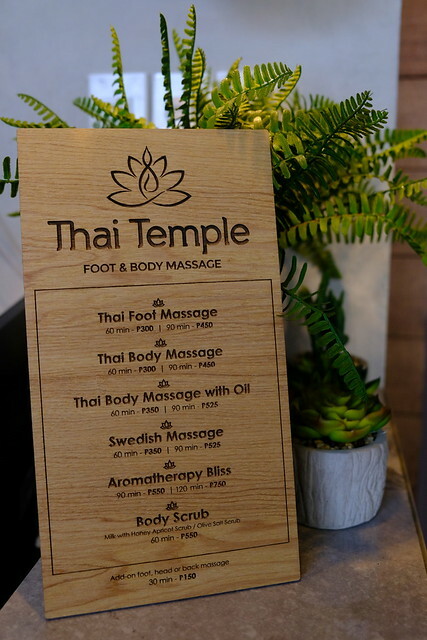 They had a hand massage station which I really enjoyed so I was very excited when Thai Temple invited us for a afternoon spa time and some tea after. Thai Temple located at J. Abad Santos cor. Lopez Jaena St.,Little Baguio, San Juan City. It's very Onelife Studio! There's everything in San Juan, maybe I should just move here. I love the interior! The reception area is small but it's because the massage area is big! 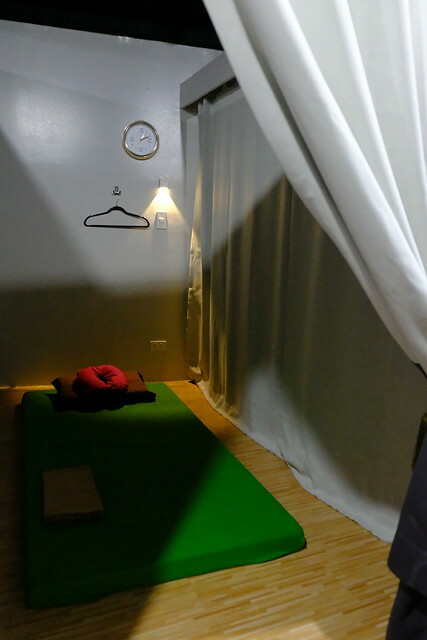 I picked Thai Foot Massage for 90 minutes. 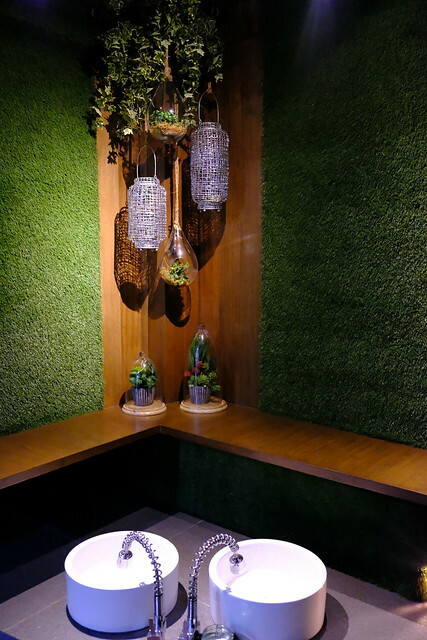 You can choose from 60 minutes (Php300) and 90 minutes (Php450). They also have other services which you can check down below. I like that their prices are affordable. These are the services they offer and the prices. 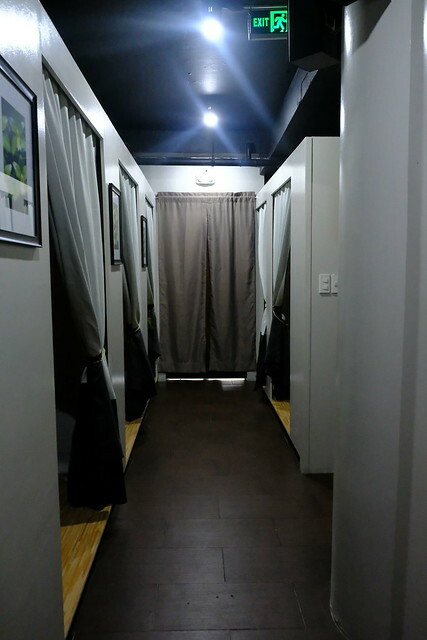 You can opt for add-ons, just add Php150 for foot, head or back massage. 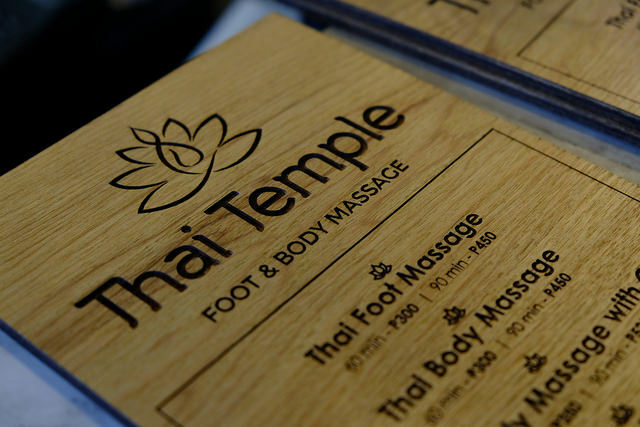 The left one is for Swedish Massage while the one on the right is for the Thai Body Massage. They also have couple rooms. 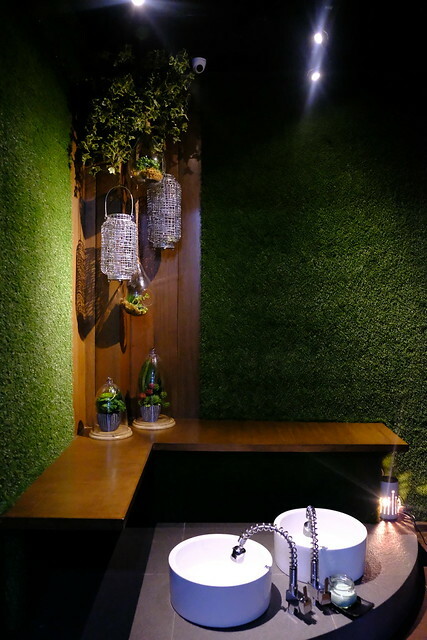 At the end of the hallway is this little corner where they wash your feet before having your foot massage. Washing my feet before my massage. 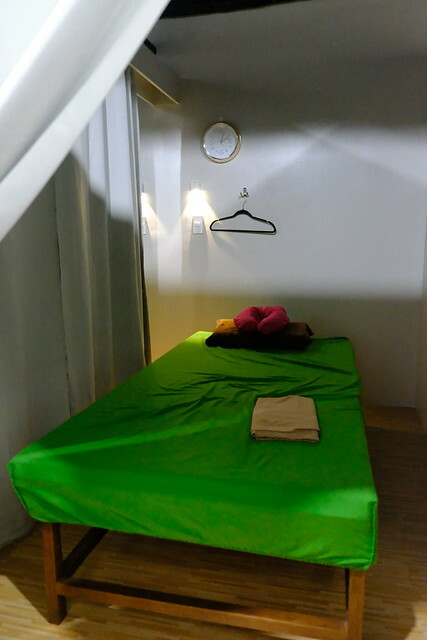 The foot massage area sits four people which was perfect for us, they have curtains as partition and for privacy. But we asked them to tied it up so we can chitchat while having our massage. 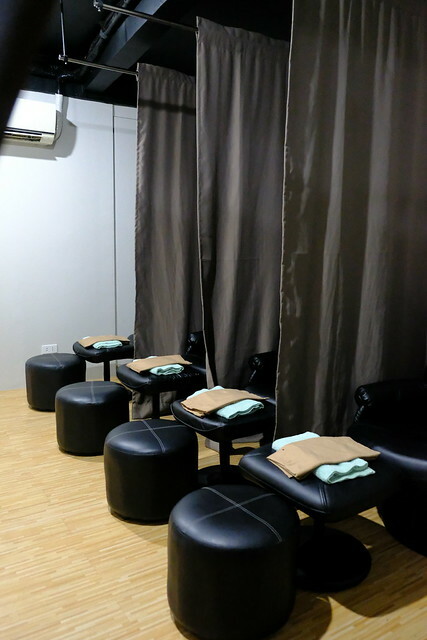 Grabbed this photo from Ro :) We were given heated pillows to put on our lower back and neck. It was surprisingly soothing and relaxing! I had a super relaxing time with these ladies. They were all surprised that I went for the 90-minute foot massage haha! I think they had 60 minutes foot massage and 30 minutes back massage. I thoroughly enjoyed my foot massage. I usually go for hard massage pero guys di ko kaya ang hard nila. Hard talaga! 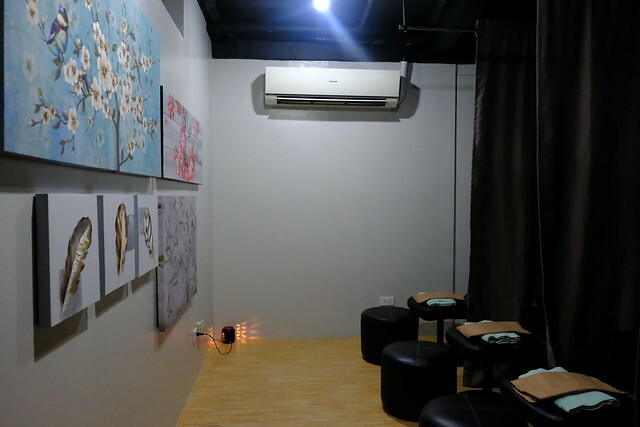 Which is a plus for me because I like to feel the pressure and I've been to spas and foot massage places that when you request for hard massage, you don't feel it and you get disappointed. 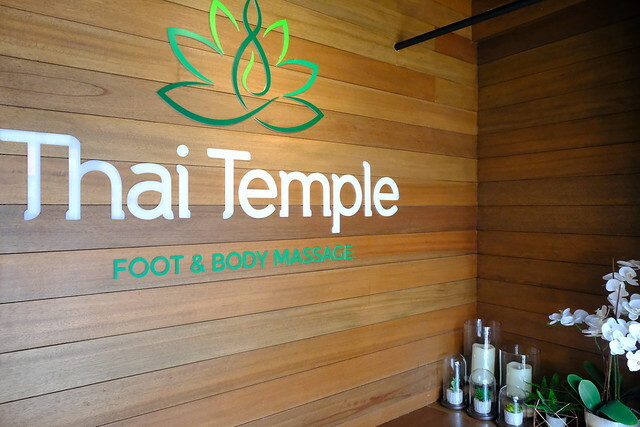 So happy with Thai Temple and I'll be back to try their body massage naman. Parking can be a little challenge here. I think you can park on the building beside it but call them first just to be sure!